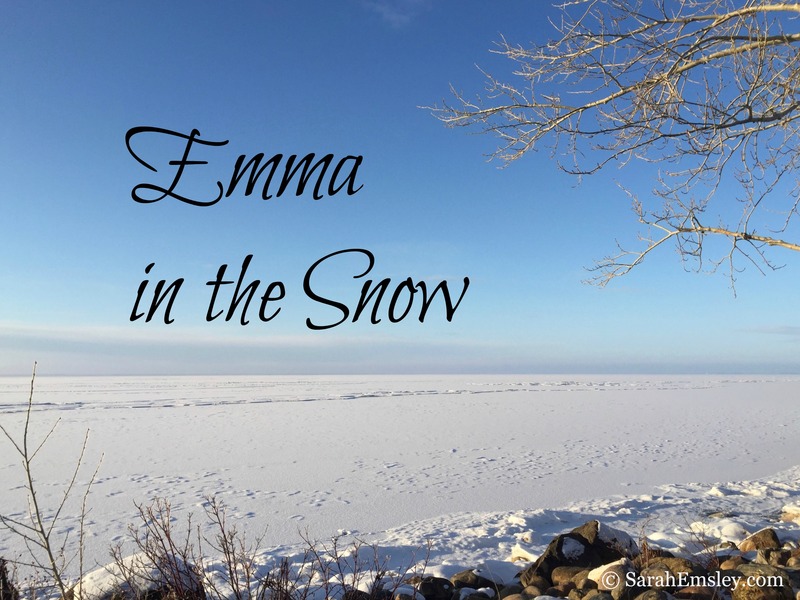 In this post, Bethie mentions that she doesn’t have a copy of the novel with her—she’s writing about the book based on what she remembers from reading it many times over the years. The copy she used to have was one she borrowed from me, maybe about twenty years ago, and I’m delighted that she has derived so much pleasure from it. She’s read it so many times that the cover and the first several pages are falling off, and I don’t mind that at all because it’s evidence of her love for the book. I’ve reread Montgomery’s Anne and Emily books over the last few years, but I didn’t notice my copy of The Blue Castle was missing until Naomi suggested last spring that we read it together. Bethie kindly returned my book and she has since moved from Boston, Massachusetts to Bonn, Germany with her family. I’m thinking I’ll send the book back to her after the readalong, although she insists I ought to keep it because it matches my other McClelland and Stewart “Canadian Favourites” editions of Montgomery’s novels. I think she should have it, because while I do love the novel, she loves it more than I do! 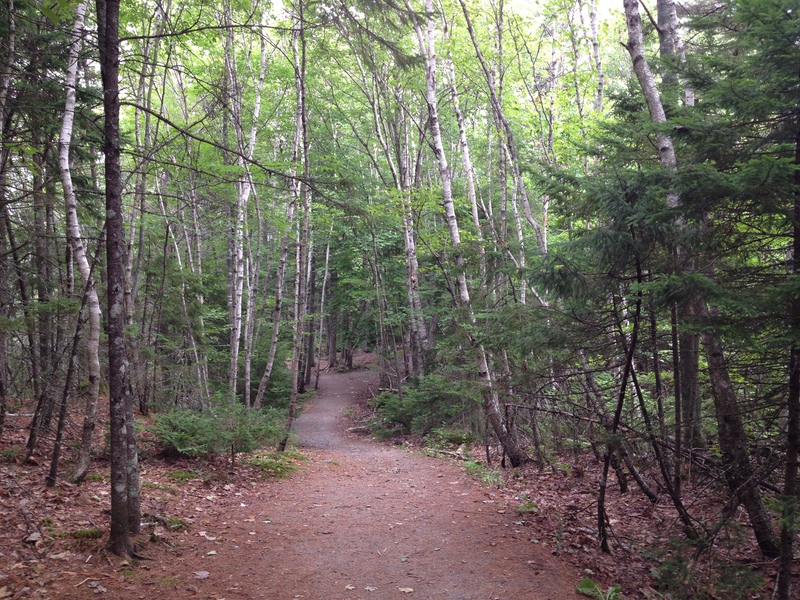 I’m really pleased to have this chance to share Bethie’s writing with you today. I have always thought of her as the Elizabeth Bennet of our family, because she’s lively, witty, and very, very smart, and also because her name, Elizabeth Baxter, is so similar. (I haven’t yet figured out parallels for the rest of our family.) For years, I’ve been impressed with my sister’s astute insights about the novels of Jane Austen, Edith Wharton, and L.M. Montgomery, three of my favourite writers. Bethie has an MA in Classics from Dalhousie University and she’s currently working on a PhD at Boston University, writing a dissertation on metaphors for poetic creation in the lyric poetry of Pindar. What shall I send her? Do any of you want to suggest some of your favourite novels? I’ve thought of Helen Simonson’s The Summer Before the War (my favourite novel of 2016). And I’ve been rereading Carol Shields recently—Small Ceremonies, Larry’s Party, and Unless—so maybe I’ll send a couple of her books, too. In my blog post last week, since I didn’t have any photos of what November looks like in the Muskoka region of Ontario, I included some of my photos of November in Nova Scotia. For this week’s post, I asked Bethie to send some pictures from Bonn. She took these yesterday when she went for a walk in the fields near her house. And at the bottom of the post I’ll add a picture of that much-loved edition of The Blue Castle, which I now think of as hers instead of mine. I enjoyed seeing your recent blog about The Blue Castle. As you know it has long been a favourite of mine. I wonder, though, if it is fair to say that Valancy isn’t courageous like Anne or Emily because she aspires only to take control of her own happiness, and does not also pursue education and a literary career as they do. For one thing, their circumstances are so different. She is not an eleven-year-old girl, she is (she thinks) an old woman, standing at the end of life, standing at death’s door. Doesn’t ambition (literary or otherwise) require hope for the future? Valancy has none. She also has never met anyone in her life who would foster or respond to or encourage any sign of intelligence in her. Even orphaned Emily, who might seem to have no one, and many against her, always has the memory of her father. Her father took her creative talents seriously when she was a small child and that support powerfully fuels her ambition as she grows up. Emily also then eventually meets with a whole cast of sympathetic characters who nourish her ambition in valuable ways (Cousin Jimmy, Teddy, Mr. Carpenter…). In contrast, Valancy’s childhood and indeed her whole life have passed, and not once has she met with a single creative, sympathetic soul that responds to her own. What would that be like? What kind of ambition would be possible given that experience? I also think it would be wrong to assume (as I think the critic you quoted does) that Valancy’s romantic daydreams are the only (paltry) evidence we have of her inner, creative, intelligent life. Valancy doesn’t write, but she does read, and she is a dedicated and passionate reader. It is her one act of rebellion, even when still under the power of her controlling family, to take out library books! When she is not permitted to read novels, she turns to the philosophical nature writing of John Foster (or is it Forster? I don’t have a copy at hand). These books have been the only thing sustaining her through the narrow ugliness of her life. I have always thought that it is a not very well-kept secret that the real identity of the mysterious John Foster (?) is not, after all, Barney, but Lucy Maud Montgomery herself. The elusive figure of the nature writer within the story provides the opportunity for Montgomery to infuse this novel particularly with a kind of writing that is important to her (and that she is especially good at). Those brilliant and shimmering, transcendent nature passages of “John Foster” are (for me) at the core of who Montgomery is as a writer. They are also the sort of passages that an Anne or an Emily would write. Valancy is their reader. And she is a good reader. She is an appreciative reader, receptive to the illumination and joy her reading brings her. I don’t think we should take this as “silence” on the education of women. Thanks so much, Kelly. That’s lovely to hear. I agree. The Blue Castle has all the makings (and beats) for a great movie: scenery, lovable heroine, odd characters, and ironic twists. Yes, I think so, too. I wonder who would play Valancy? They would have to get it just right! Roaring Abel would be a fun part to play. I have no talent for casting, but I think Ellen Page might be a good pick. She can play sweet, smart, and sarcastic. Delivering those funny lines to the family — with just the right amount of snarky sarcasm — would be key. I love that you chose someone from Nova Scotia! Excellent choice. I agree about her talent as well. Had no idea that she was from Nova Scotia! Maybe I spoke too soon when I said I had no talent for casting :-). Ha! That’s kind of you to say. Maybe someday I’ll ask some of the other members of the family to write guest posts. 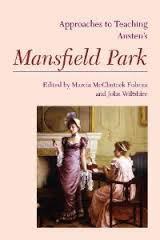 My father wrote one on “Fanny Price as a Student of Shakespeare” for the Mansfield Park blog series I hosted a few years ago. It was from him that I first learned how to write an essay. So you *are* all writers! If I had been thinking ahead, I could have asked my mother to read the book and write something. I don’t think she’s ever read it! The readalong doesn’t have to end on the last day of November, right? If she wanted to write something, you could always post it later. Thanks very much, Jaclyn. I’ll pass along your comments and suggestions to Bethie. I think she read Doctor Thorne recently but I don’t know if she’s read all the Barchester novels. I found them utterly absorbing — I read the series several years ago, back when I was teaching, and I found it hard to tear myself away from the books to grade papers. Have you read the Palliser novels? I can’t remember if we’ve talked about this before. I’ve read only the first and I do want to read the rest of the series someday. I haven’t read the Mapp and Lucia books but they’re on my list. I’ll ask Bethie if she’s read them. Haven’t read A Gentleman in Moscow or To the Bright Edge of the World — thanks so much for recommending them. I love E.F. Benson, Lucia series. I also love Trollope’s Barchester series but have not read the Palliser set, on my list. But I am so happy that you both love “The Summer Before the War”. I stumbled onto it while browsing in the library. I also loved her “Major Pettigrew’s Last Stand” Can’t wait till she writes more books – I hope she does. Instead of a suitcase full of books, how about downloads of the classics. So much is available for free on my i-Pad. Also how about D.E. Stevenson? I love her books. I loved Major Pettigrew’s Last Stand and like you I’m keen to find out what Helen Simonson writes next. Do you know, I didn’t even think about ebooks when I started considering what to send Bethie? I don’t read them very often and I’m not sure if she does, either. I suspect not, given that she took Austen’s novels in her suitcase. I do have Pride and Prejudice and Mansfield Park on my iPhone, but I don’t have an iPad or other e-reader and I haven’t really been tempted to get one. There are obviously many advantages to ebooks, especially for travel, but I do prefer paper. Even though the books are heavy. I haven’t read anything by D.E. Stevenson and am glad to have your suggestion. Thanks, Nili. Where should I start? Miss Buncle’s Book? I haven’t read all of the Barchester Chronicles yet – just The Warden and Barchester Towers. I’m half saving them (because I loved the first two so much that I can’t stand the thought of being done with them) and half just perpetually underwater at the library. I’d like to read the Palliser series – I want to read everything Trollope has written – but I suspect I’ll like Barchester best. Have you read Angela Thirkell? I can’t remember if we’ve talked about her. She was such a Trollope fangirl that she wrote her own series set in Barsetshire between the wars, and it’s frothy and fun (albeit very much of its time; there are some jarring racist words that fall into the dialogue now and then, although that happens less and less as the series goes on, I’ve noticed). I definitely second Nili and others’ recommendations of D.E. Stevenson. I really enjoyed Miss Buncle’s Book and The Four Graces, although those are the only two of hers I’ve read. Sourcebooks publishes them in beautiful paperback editions. Also, forgot to mention, but what about E.M. Delafield’s Diary of a Provincial Lady? I believe it’s a series of four; I’ve only read the first but I was literally weeping, it was so hilarious. I really felt I was living in those novels, and I often consulted the maps of Barsetshire (http://www.trollopeusa.org/map-of-trollope´s-barsetshire/) during those months (the winter and spring of 2006, I think) when I read the series. I’d love to go back to that world sometime, maybe after I read the Palliser novels. Haven’t read Angela Thirkell yet either, or E.M. Delafield. Thanks for recommending them, Jaclyn. My list grows longer nearly every day, and it makes me happy to think there are so many good books to read, and to share with my sister. I really enjoyed reading E.F.Benson: gently witty and poking fun at pretension. Trollope’s Barchester Chronicles had me agog with what the Bishop’s wife and Slope would dream up next, and I felt especially indignant at the thought that music would be banned from the church. I can’t say that I enjoyed the Pallisers, it was a grim view of the life of women in wealthy London families. but useful in bringing that aspect to the attention of his readers. Honor, I expect you probably told me about E.F. Benson and recommended his work on that long-ago day trip (I mean, “motor-flight”) to Rye. And I still haven’t read the books — I must catch up. I certainly thought of that wonderful literary pilgrimage with you when I read The Summer Before the War. Interesting to hear your perspective on the Pallisers. I’ve read several of Trollope’s other novels, and I especially liked Orley Farm and The Way We Live Now. In the summer, a good friend told me The Duke’s Children is his favourite novel, so now I’m curious about the rest of the Palliser books and I do feel I ought to read them in order. I got the Pallisers mixed up with the Forsytes I now realise! I shall have to read the Pallisers again. I loved our motor-flight too. Ah, I see! I liked the Forsyte series, but I didn’t find myself totally immersed in that world — at least, not in the way I was when I read the Barchester novels. D.E. Stevenson favorite is The Four Graces. Hands down. Good to know. Thanks, Nili. Interesting. Thanks for commenting, Tony. I agree, reading is vital, and I think Bethie is right that I didn’t give Valancy enough credit for this when I first wrote about the book. Yes, we all need encouragement, from teachers, friends, and family, and from books as well, and you’re quite right to draw attention to those who miss out on all of that. Ha! Ha! I have just reread what I wrote above Sarah. I made it sound that I thought state educated children and children from poor backgrounds do not receive any sort of encouragement, of course they do. What I meant , in a more nuanced way, is that wealth and poverty and private and state education create different sets of opportunities. I strongly disagree with that situation. I have worked in state schools all my life and they are capable of delivering excellent standards of education. There is a different culture between state and private. Privately educated children are able to automatically access the higher levels of society. It is an enormous challenge for others to do so.That is wrong. If we want an equal society education should be the same for all. Oh, I didn’t read it that way, as a comment on lack of encouragement for children in public schools. I guess I was thinking more generally of children around the world who don’t have adequate access to education. If you are up for a Trollope readathon then please include me. I read The Warden last year and intend to read the rest of the rest of the Barchester novels. I think Trollope is terrific. I am in if we do a Trollope read. Actually I am in for anything. It is so much fun to share this with you guys. I love Trollope. I’ll think about it — though it would be a major commitment, as there are so many novels. Quite different from the Emily readalong earlier this year, or The Blue Castle this month. But the books are so good, and it would be fun to discuss them with you here. One novel does sound more manageable…. I’ll have to wait until after the Northanger Abbey/Persuasion celebration before I make any definite plans, though. I quite like the idea of focusing on a single Trollope novel. How lovely to have your sister engage in a healthy book discussion with you about one of your shared favourites. I so understand the need for maximum comfort reads in times of great change – P&P and Persuasion are my picks for those times too. I love talking about books with Bethie, and I feel very fortunate that we’re interested in so many of the same writers. (Though I confess I haven’t read Pindar — yet.) I’ll put The Essex Serpent on my list. Thanks very much for the recommendation, and the link to your review. I never would have thought of LMM as the author, John Foster. I guessed right away it was Barney–there’s too much find potential there to miss it! Ugh, ROMANTIC potential, not find potential! He really is the man of her dreams!